An early morning arrival at Santa Apolónia Station – a culmination of three rail journeys that started in London – puts me right in the heart of the Alfama district, the oldest neighborhood in Lisbon. Like every other tourist, I’m probably a nuisance to locals here, as I drag my bag up its steep cobblestone streets, awaking everyone in my path. Truth be told though, this is an excellent bit of acclimatization for me. 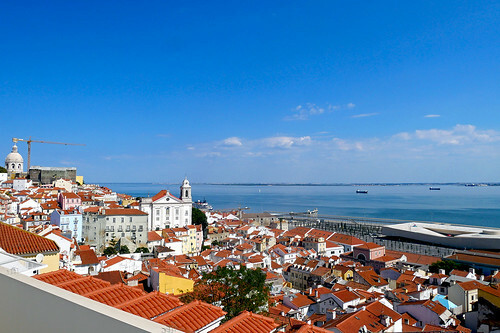 In a city renowned for near vertical alleys, lofty perches and great vistas, Alfama is quintessentially Lisbon.